Das Unterwegs sein hat schon immer Leute zum Schreiben animiert. Man denke an den Klassiker der Beat-Literatur “On The Road” von John Keruac oder an “The Electric Kool-Aid Acid Test” von Tom Wolfe. Das stetige Wechseln des Ortes bringt so viele neue Eindrücke mit sich, dass man zum einem stets Angst hat an die Grenzen der Aufnahmefähigkeit zu gelangen und zum anderen immer weiter nach neuen Erfahrungen, Geschichten und Faszinationen sehnt. Die Schwierigkeit wiederum ist dann der Versuch, all dies in eine halbwegs logische Ordnung zu bringen und dem Chaos so etwas wie einen Sinn zu geben. 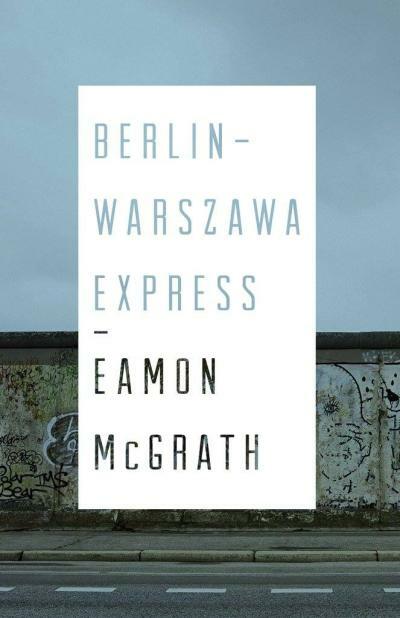 Eamon McGrath hat sich der Herausforderung gestellt und sich mehrere Europa-Touren von der Seele geschrieben. In “Berlin-Warszawa Express” schreibt der Singer / Songwriter nicht von irgendwelchen Tourerlebnissen zwischen Nightliner und Hotelzimmer sondern berichtet vom Alltag einer DIY-Tour. Schlafen im Club, Schnapps mit Einheimischen, Bandkrisen, Leichtsinn und einer ganzen Menge denkwürdiger Erlebnisse. “Berlin-Warszawa Express” was written almost entirely by accident. I was touring Europe 2-3 times in support of the “Peace Maker” and “Young Canadians” records, and it kind of reached its pinnacle with the “Exile” release, doing nonstop runs of shows in Germany, Austria, the Czech Republic, Slovenia, and Poland, sometimes playing upwards of 60 shows in 58 days. I would buy a month-long Eurail pass, so most of my days were spent reflecting on the night before in my seat on the train. Although I can’t remember exactly when, at some point in the past four or five years I started writing down memories, reflections, lyrics, observations, etc., and when I came home and typed them all out after a tour in 2013, I realized I might have the makings of something. After months and months of editing, I moved things around, developed certain ideas, changed character and place names, and in doing so found that I had a narrative trajectory or story arc and began hashing out what became the fundamental ideas for the novel. After sending what I’d written to Canadian writer and musician Dave Bidini — for advice or guidance, or whatever you want to call it — he saw something there and sent it to his editor Michael Holmes at ECW Press, and within two weeks I’d had a meeting about a publication schedule. It was a really strange adjustment to from the world of recording and performing music to the world of publishing a book. What can seem like an eternity in the process of writing songs and albums is an overnight occurrence when it comes to writing a book: people spend ten years completing their works of fiction, and in the world of recorded music, taking three years on an album is a slow, crawling pace. Essentially, despite the fact that it seemed like forever from the first time I put pen to paper and scratched out the notes of what would become this book, it was actually a really quick, seamless process. Looking back, it’s all a bit of a blur, and I’m lucky to have recorded all my experiences touring not only because of what the hungover, handwritten journal entries became, but also so I that I’ll be able to so clearly remember these experiences, however fictionalized, embellished or over and under exaggerated they are now. June 8 – Tavannes, CH @ Pineapple Juice Asso. June 23 – Kassel, DE @ Neu!